There have been many movies made that are based or inspired by history books. Many of the best-loved movies are based on works of non-fiction. Too often moviegoers forget that a motion picture is an adaptation of a work of history. Here is a list of the top ten history books, in no particular order that have inspired some of the most popular historical movies of all time. The Longest Day, Cornelius Ryan (London, Schuster and Schuster, 1959) The Longest Day is a non-fiction work written by the Irish journalist Cornelius Ryan. The book is a documentary account of the D-Day landings of June 1944. Ryan based his work on eye-witness accounts from those who took part in the largest amphibious landings in history. Ryan himself had been a war correspondent from 1940-1945. The book focuses on the first and crucial day of the landings. Ryan did not want to write a dry academic account of the D-Day landings but one that was both accurate and entertaining. The author was eager to show the events of that day from a variety of perspectives. He was not only interested in the Anglo-American actions on that historic day but also the French and German roles on D-Day. The Longest Day is divided into three parts, and it considered a very good account of the D-Day Landings. The movies rights of the book were soon bought by a Hollywood studio and the movie ‘The Longest Day’ was released in 1962 and it is one of the most popular war-movies of all time. Team of Rivals: The Political Genius of Abraham Lincoln. Doris Kearns Goodwin (NY, Schuster, and Schuster, 2005) This book is a historical biography and it received a Pulitzer Price in 2006. It was written by the distinguished American historian Doris Kearns Goodwin. The book is focused on one of the key periods in American history. It is ostensibly a biography of President Abraham Lincoln and some of those who served with him during the American Civil War 1861 to 1865. 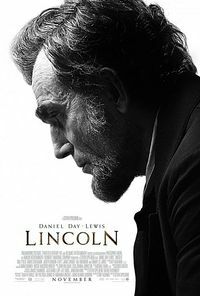 The book examines Lincoln’s great ability to turn men who had been his political rivals and even enemies into a team that helps to preserve the Union and defeats the Confederacy. The Team of Rivals focuses on how Lincoln was able to create unity in his cabinet and evaluates his leadership qualities. It is a political biography rather than a history of the military campaigns of the Civil War. Goodwin’s book was and is very influential and among its admirers is the former US President Barrack Obama. In 2012 a movie based on a section of the book was released to great acclaim. The Broken Seal: "Operation Magic" and the Secret Road to Pearl Harbor Ladislas Faragó (New York, Harper Collins, 1967) This book was the main source for the movie Tora, Tora, Tora (1970). Farago’s book was mainly concerned with the run up to the Japanese attack on Pearl Harbor. It explored the diplomatic and military events that preceded the Japanese attack in 1941. Farago narrates the events from both the American and the Japanese perspective. His work shows the Japanese as both fearful of the US but also eager to extend their empire. ‘The Broken Seal’ concentrates a great deal on the role of the intelligence services in the run up to Pearl Harbor. Farago was one of the first to show that the US had failed to react to intelligence about an attack. The majority of Tora, Tora Tora was based on the book. However, Farago’s book was not the only work used by the producers. Details of the actual attack and the title of the film were taken from the work of Robert Prange’s work called ‘Tora. Tora. Tora’ (1963). The makers of the movie were not really faithful to Farago’s book as it tended to show the Japanese more sympathetically and even tried to play down their responsibility for starting the war. 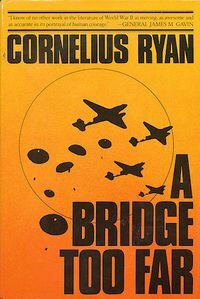 A Bridge Too Far Cornelius Ryan (London, Schuster and Schuster, 1974) This book is based on the allies airborne attack on the Nazis codenamed Operation Market Garden. This was an audacious attempt to end WWII. The operation was a series of an airborne assault on bridges over the Rhine in German occupied Holland. The operation was a failure and it resulted in heavy allied casualties. The title of the book comes from a statement made about the planned assault, one of the commanders of the operation stated to Field Marshall Montgomery, that the operation was flawed and that "I think we may be going a bridge too far." Ryan’s views changed the publics views of Market Garden and the events in the liberation of Europe. Prior to this book, many had erroneously believed that the operation had been a limited success. Ryan’s exposed the incompetence of the British general-staff, his work is full of stirring account of the bravery of the ordinary allied paratroopers and soldiers. Ryan’s book shows the main events in Market Garden and gives the Dutch and German perspective. The work focuses to a large extent on the allies’ failure to take and hold the key bridge at Arnhem. The movie was turned into a star-studded Hollywood blockbuster in 1977. Unbroken. Laura Hillenbrand (New York, Random House, 2010) Laura Hillenbrand’s 2010 is the biography of a true American hero. It outlines the real-life journey of Louis Zamperini. It takes the reader from Zamperini’s youth when he was a delinquent and never out of trouble and his transformation into an Olympic athlete. He competed at the 1936 Olympics in 1936. After Pearl Harbor, Hillenbrand shows Zamperini’s wartime experience. At first, he served in the USAAF and he was a bombardier on a B-24 bomber. After his plane ditched into the sea and he spent some 47 days on a raft at sea he was captured by the Japanese. Hillenbrand’s book focuses on the ill-treatment and torture of Zamperini. The work provides graphic details of the Japanese brutal treatment of POWs and other prisoners. It graphically describes the various tortures that they inflicted on military and civilian prisoners. It was very well-received and it was popular with both critics and readers. In 2014 Angela Jolie produced and directed a movie based on the book and it also took its title from Hillenbrand’s work. We Were Soldiers Once and … Young, Lt. Gen. Harold G. Moore (Ret.) and Joseph L. Galloway (New York, Presido Press, 1992) We Were Soldiers Once… and Young is a 1992 non-fiction work written by an officer (Moore) and a journalist (Galloway) about one of the key battles of the Vietnam War. 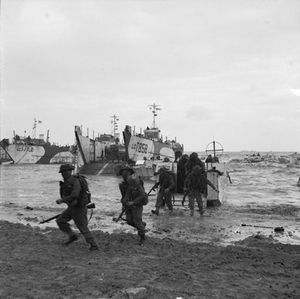 The narrative focuses on one of the first set-piece battles of the war. The central events depicted in the work is the Battle of la Drang Valley. The battle saw the 1st and the 2nd battalion of the famous 7th Cavalry Regiment engage with a division of North Vietnamese regulars and Viet Cong guerrillas. The work describes the brutality of the battle and how the Americans were able to prevail after a vicious battle. It does not hesitate to show that the battle was a bloody affair and shows the suffering of the ordinary soldier. The work also shows that while the battle was a tactical defeat for the Communists they came to believe that they could defeat the US after la Drang. The work was very well received and many critics claimed that it was the finest example of military history written in years. Mel Gibson bought the movie rights for the book and in 2002 he produced and directed a movie based on the work of Moore and Galloway. The Seven Pillars of Wisdom, T.E Lawrence (London, Jonathan Cape, 1927) This book was written by T.E. Lawrence and recounts his exploits working in the Middle East for the British military. It is a mixture of a travel book, history, and autobiography. This book, which is a classic tells the story of Lawrence’s role in the Arab Revolt (1915-1918). Winston Churchill called it one of his favorite book. 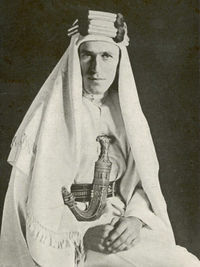 Lawrence helped the various Arab tribes to unite and to launch a rebellion against the Ottoman Empire. In this work, it shows how Lawrence, an Arabic speaker was able to use his diplomatic and military skills to help the Arabs to the case of Turkish role. This book outlines the various challenges that were faced by the rebels and Lawrence. It details the campaign undertaken by the Arabs and their often difficult relationship with the British. The book also shows Lawrence trying to help the rebels to create a unified Arab state. However, the French and the British intervene at the end of the war and created a series of puppet regimes in the lands that had been liberated by the rebels. The Seven Pillars of Wisdom was adapted for the screen by the British playwright Robert Bolt and turned into a movie by David Lean, that was entitled Lawrence of Arabia. This motion picture won 7 academy awards and is now regarded as a classic. 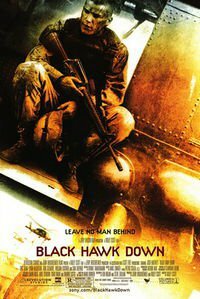 Black Hawk Down, Mark Bowden (Philadelphia, Grove Press, 1999) Mark Bowden’s book Black Hawk Down: A Story of Modern War (1999) depicts the so-called Battle of Mogadishu. Bowden was a journalist during the US led UN humanitarian mission in Somalia that sought to protect aid agencies in the war-torn country. The book is based on some thirty articles written by Bowden in relation to the American involvement in Somalia. His work depicts how the Americans became embroiled in a conflict with a local Somali warlord by the name of General Aidid. 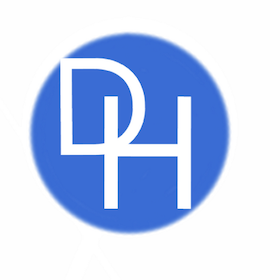 The main focus of the book focuses on a clash between American and a Somali militia. In 1993 forces loyal to Aidid shot down a Black Hawk Helicopter and there was subsequent US rescue mission to save the survivors. Bowden’s work narrates the raid to save the Americans and the battle with Aidid’s fighters. The fighting was intense and it was regarded as the most intense battle involving American forces since Vietnam and became known as the Battle of Mogadishu. The book was later turned into a movie by Ridley Scot in 2001. This was a box-office hit but it was controversial as many believed that the film was not accurate and it was even accused of racism. American Sniper: The Autobiography of the Most Lethal Sniper in U.S., Chris Kyle (New York, Harper Collins, 2012) This book is a memoir by Chris Kyle written with the assistance of Scott McEwen and Jim DeFelice. American Sniper gives the story of Chris Kyle, a US Navy SEAL. Kyle completed four tours in Iraq from 2003-2009. He was a sniper and the book focuses on how he became a lethal and much-feared sniper. It traces his upbringing in Texas, his relationships, his training as a SEAL and his combat experiences in Iraq. Kyle was a sniper with the SEALs and he is credited with some 250 kills, 160 of these have been confirmed by the US military. He was so lethal that he was nicknamed the devil of Ramadi by local insurgents during the battle to retake the city. A movie based on the memoir also called American Sniper was made, starring Bradley Cooper and directed by Clint Eastwood in 2014. The movie was a critical and box office success. The Great Escape, Paul Brickhall (London, Schuster and Schuster, 1950) Brickhall was an Australian fighter pilot during WWII. He was later captured and imprisoned in a German POW camp, Stalag Luft iii. The camp held captured American, British and other allied soldiers. There was a mass breakout from the camp, which was located in German occupied Poland. The allied prisoners dug a tunnel and dozens of them escaped in what was the biggest prison break from a German POW camp. Brickhall had been part of the escape-plan but he had not been able to take part in the tunneling or the escape because he suffered from claustrophobia. After the war, Brickhall became a journalist and in 1950 he published an account of the mass breakout from Stalag Luft iii. The book is a fast based and largely accurate account of the preparation of the escape, the fate of the escapees and the aftermath. It did much to raise awareness of the escape which had largely gone unnoticed during the war. The book was turned into a movie also called the ‘Great Escape’ by United Artists in 1963 and it starred some of the biggest names in Hollywood at the time. It was a great success and the movie remains a much loved classic war movie.